A recent airline advertisement claims that all travel experiences have diluted our sense of the foreign. If that were true, then why travel? I agree that pre-departure experiences have become monotonously predictable, whether in Rome, London, Frankfurt, Tokyo or Mumbai. Lines, security searches, shoe removal and hand luggage inspections are all too familiar. Associates in the travel business have argued that all flights are routine, that the world below looks the same regardless of where we are on the globe. I strongly disagree. Many of us travel for the sheer adventure and excitement of seeing a new place with fresh eyes. I stand in awe of airplanes, of their incredible engineering, of their ability to transport us at incredible speeds across the world. The Ionia Sea is as different to my eyes as are the Himalayas. When I enter any airport, I am already where I am headed. Every step I take brings me closer to foreign winds and to fascinating experiences. When I walk out into a foreign city, anywhere on the globe, I am already changed. 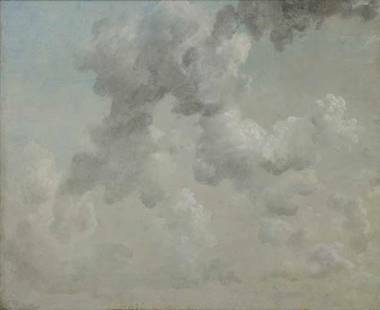 During a visit to the Ashmolean Museum in Oxford England I discovered “Study of Clouds,” John Constable’s 1822 painting of the sky above Hampstead Heath. It is widely accepted as one of the world’s greatest works of art. Constable invited us to breathe, look up, observe and consider. Many say that his work projects a transcendent quality. Travel, like Constable’s canvas, makes us see the extraordinary in what we typically consider ordinary. Travel puts us in places where our understanding of ourselves and the world cannot help but be changed. Breathe. Look up. Observe. Consider. “Foreign” losing its meaning? I doubt it. If that happens, stay home. Seek the shelter of known walls. Remember, though, that because there were days the world offered exceptional and memorable moments, your perspective was forever changed. Go. See. Travel. Remember. Be transformed.